Online comments have become an important tool for disabled guests because of lower physical movement requirements. In order to illustrate and evaluate disabled guests’ decision-making characteristics, this paper has used two steps for studying: (1) Data mining technology to collect e-comments from C-trip (www.ctrip.com) of 97 hotels in the cities of Beijing, Shanghai, Hangzhou and Guangzhou. Over 260,000 words were collected and analyzed by using ROSTcm software for this research. (2) Examined the relationship between the credibility and the perceived risk of disabled guests for their behavioral intentions. The result of this study has showed that: (1) Disabled guests pay more attention to the hotel barrier-free facilities, hotel barrier-free facilities, hotel personalized service, location accessibility, and the attitude and atmosphere of the hotel. (2) Disabled guests show positive attitude towards the hotel, and a neutral attitude accounting for 25.86% which indicates that the hotel industry still has much improving room especially with regards to disabled accessible guestrooms and accessibility. (3) Electronic Word-of-Mouth (eWOM) source credibility has a great influence on the overall perceived risk of the review of disabled guests because they are more likely for seeking internet comments for their lodging decision-making than other common guests. eWOM rational management can reduce the overall potential risk for disabled guests. (4) Hotels can enhance disabled guests’ decision-making by advanced eWOM management. The study illustrated that disabled guests who used eWOM could be better managed and reduce potential risks when making decisions. 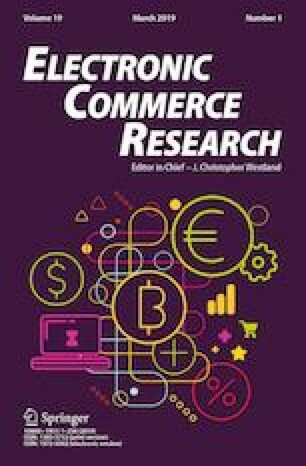 As a result, this study also found that with better management of eWOM, it could help to meet the potential market for the disabled guests and at the meanwhile attract more customers because of higher social reputation.